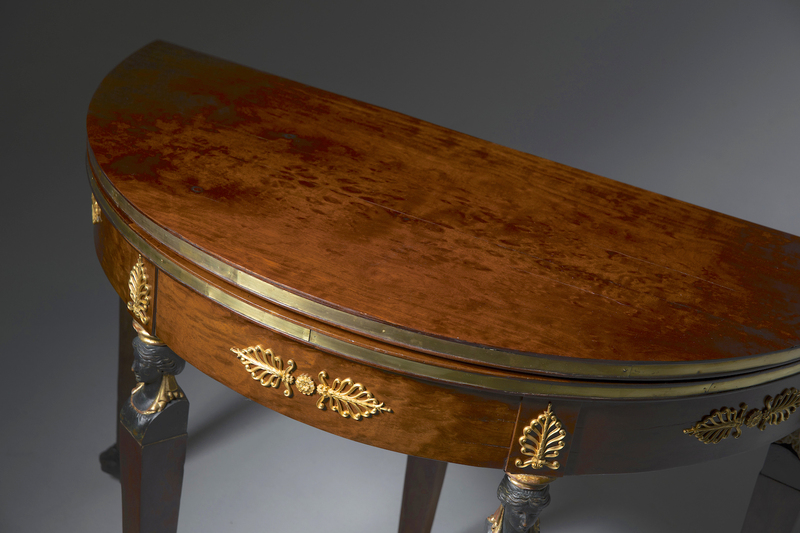 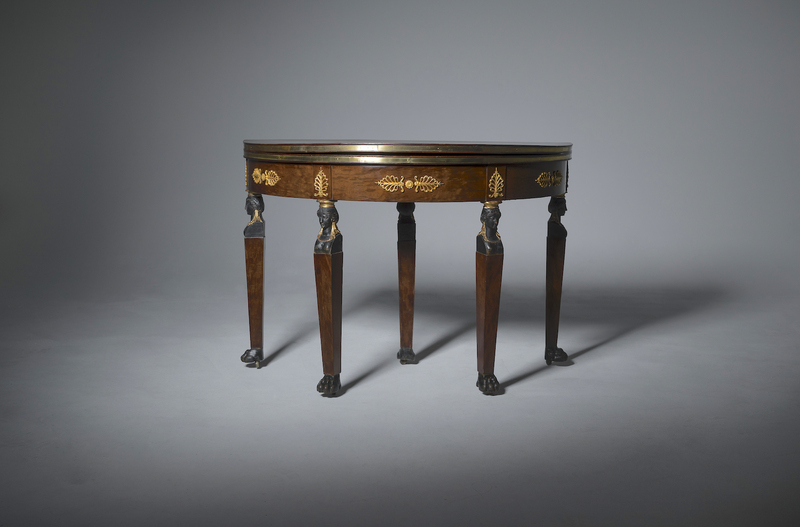 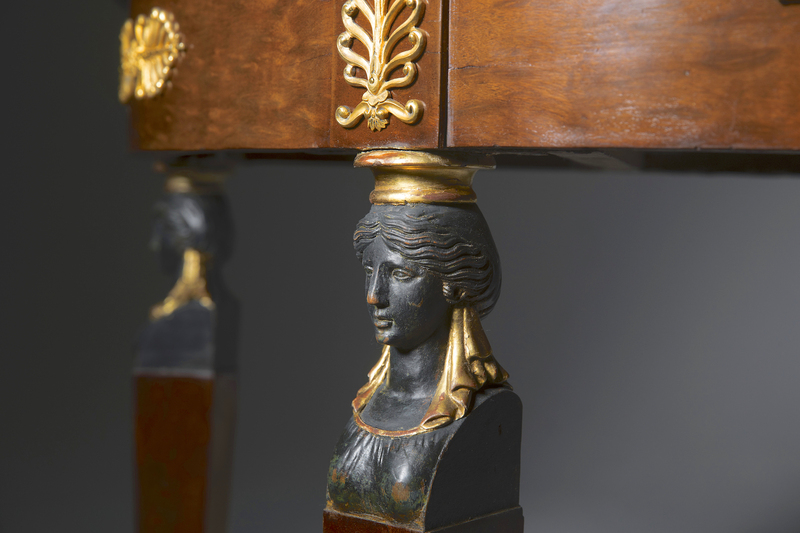 Empire period demi-lune card table, early 19th century. 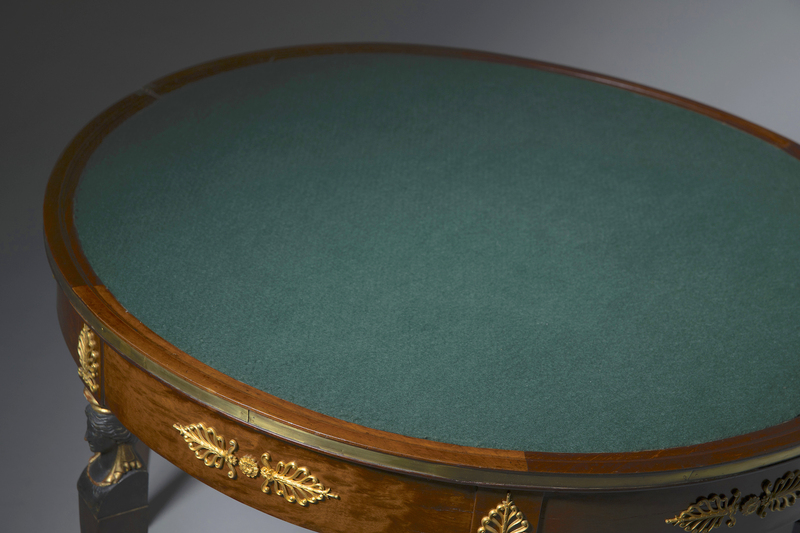 A hinged top opening to a green baize lined interior above a fries with gilt bonze ornaments resting on five tapering legs with female masks and paw feet with castors. 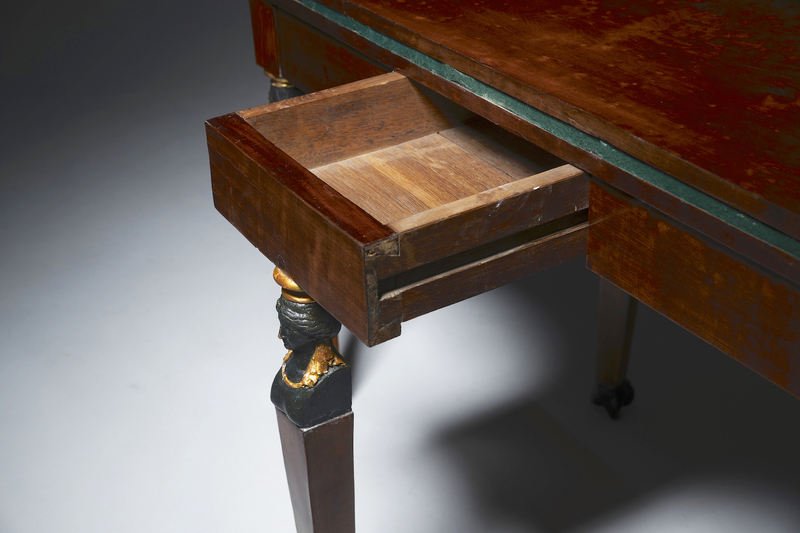 The back leg with a sliding drawer to support the open top.